Tracy had been homeless for 2 years, but now she has an apartment and a support system thanks to the First H.O.P.E. 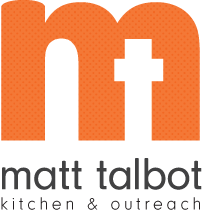 program at Matt Talbot Kitchen & Outreach. Matt Talbot is investing in new programs to help defeat homelessness, and we’re expanding our building to help those programs succeed. Your gift to Matt Talbot on Give to Lincoln Day will help people like Tracy find possibilities when things seem impossible. Your gift will support Matt Talbot’s building expansion and will be matched dollar-for-dollar by an anonymous challenge gift for that project. Your gift will also receive a share of the Lincoln Community Foundation’s Give to Lincoln Day match fund. THANK YOU for giving the gift of BOLD HOPE on Give to Lincoln Day!